John Nelson was an American radio engineer who specialized in the analysis of shortwave radio propagation. In the 1950s and 1960s, he was an employee of RCA Communications and worked on the problem of how to predict fluctuations in the Earth's magnetic field that disrupted radio communication. It was well known that these fluctuations were affected by, among other things, sunspot activity. Using this clue as a starting point, Nelson began investigating correlations between the heliocentric configurations of the planets and radio wave disturbances. His findings were so remarkable that he was eventually able to predict such disturbances with a better than 93 percent accuracy. Sun (thus forming an opposition aspect of 180°) or formed a 90° angle (a square aspect) with the Sun, there would be a disturbance. 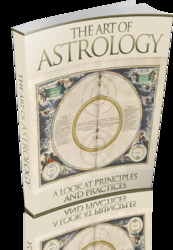 He also found, again consistent with the principles of traditional astrology, that if yet another planet formed an exact trine (120° angle) to either of these configurations, the disturbance rapidly abated. Because Nelson could further predict the areas of the world where disturbances would be most severely felt, RCA could reroute transmissions without loss of service. The astronomical and academic communities greeted his discoveries with a thundering silence. But Richard Head of NASA's Electronics Research Center investigated Nelson's studies and found them to be accurate. NASA was interested in the implications of his research for predicting sunspot activity, so that it would be able to avoid the risk of exposing astronauts to excessive solar radiation. NASA thus came to adopt Nelson's methods, under the name gravitational vectoring. York: New American Library, 1980. Ostrander, Sheila, and Lynn Schroeder. Astrological Birth Control. Englewood Cliffs, NJ: Prentice-Hall, 1972.